Apple crumble was a regular dessert feature in my house growing up and I have always loved it. Over those many years, I have added to my mum’s recipe, adapted it to suit our diet and boosted its nutritional value. I hope you enjoy it too! 2 large tins sliced apples (or home made stewed ones if you are more organised!). Pear works well here too. 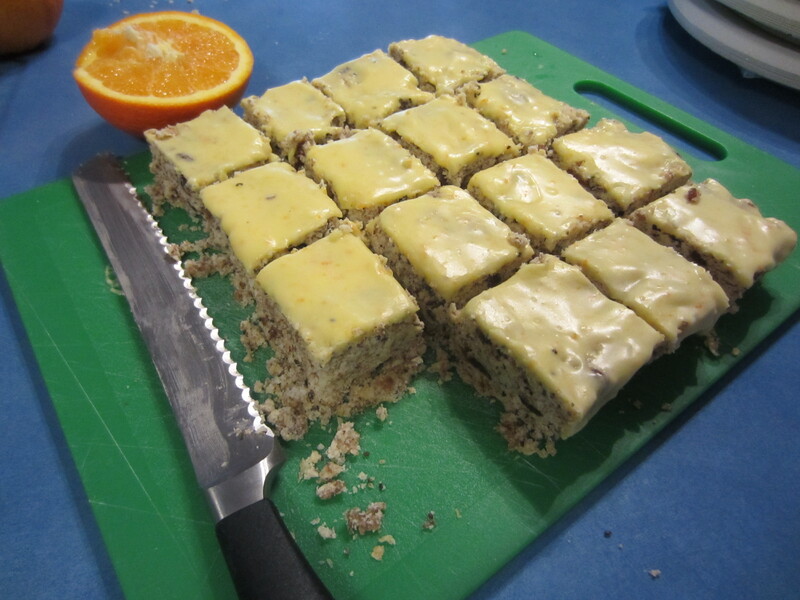 **I like the combination of 1/3 cup each of pumpkin, sunflower and hemp seeds – but use your favourites. Start by mixing together the seeds and toasting them in a pan under your grill until they are golden brown – watch them carefully as they only take a few minutes. Toss them to make sure you get an even coverage. 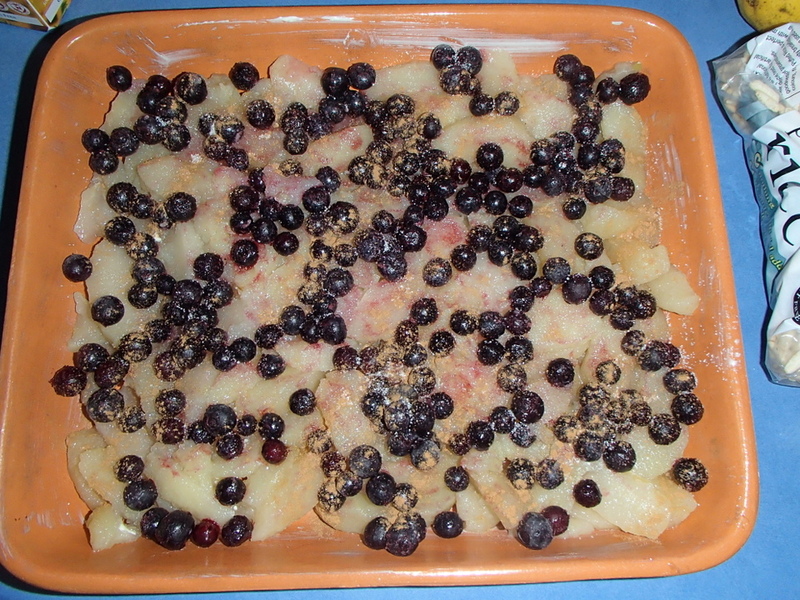 Place apples and berries in a large greased baking dish. Sprinkle fruit with the lemon juice, zest and the cinnamon. Then set aside. Mix together all of the dry ingredients and then pour over the almost melted butter. Stir until well combined and evenly coated. Evenly spread the crumble mix on top of the fruit mix and then place in to a preheated moderate oven for about 40 minutes, or until golden brown and the juices are bubbling. Serve warm, on its own or with the custard or ice cream your diet allows. This makes quite a large crumble … well, because everyone loves crumble and this often comes to family gatherings – there are a lot of us! If you don’t need quite so much, it’s easily halved. Or better still, just make this size, and gradually eat it for dessert for the next few days 😉 It lasts well in the fridge, but is better reheated in the oven than the microwave as it will keep the crumble topping more crunchy. Sometimes you just really need bikkies in a hurry! This recipe doesn’t need anything special – just 4 basic pantry ingredients and they’ll be cooling on your bench less than 25 minutes after you decided you needed a bikkie! In a large bowl, melt together the honey and butter (Speed 2, 100C about 2 1/2 mins) – then set aside. Place the oats in your processor/thermal appliance or even bullet and give a couple of quick pulses to roughly shop the oats. Add in the flour and mix well until combined (Speed 4, 10 secs). Add in the melted butter mix and mix to combine (Speed 4, 8 secs). Scoop spoon fulls of mixture on to a line baking tray and then use a fork to slightly flatten them. Place in to a preheated 180C oven and bake for 16-18 minutes. The biscuits will still be soft when removed from the oven. Leave them on the baking tray for 10 minutes (go ahead a ‘test’ one if you must!). Move to an airing rack to finish cooling … or just eat them warm! 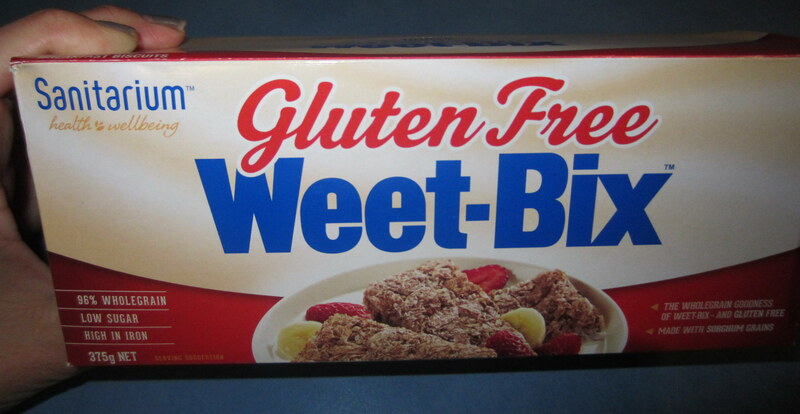 ** I haven’t made an oat free version of these ones yet. I’d start by increasing the flour mix to 300g and then using a 200g mix of rice puffs, rolled quinoa and shredded coconut to replace the oats. I’ll update with exact quantities when I do!